The Best Bathtub Replacement Options | Is the Tub Liner Cost Worth it? 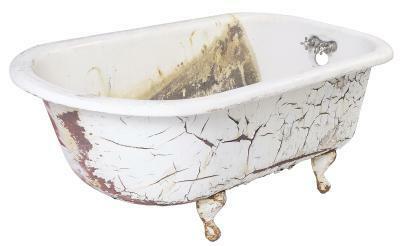 Do you have an old bathtub that you think needs replaced? You watch DIY shows on T.V. that make refinishing your bathtub yourself a cinch. However, buying the supplies from the hardware store is just the beginning of the cost to do it yourself. What about a tub liner and the cost compared to refinishing. When it comes to your old bathtub, you have options and it’s important to know that not all options are created equal. If you think your bathtub can’t be repaired, make sure you are ready to fork over a good chunk of change to have it replaced. On the low end bathtub replacement, it usually costs around $1000 and about $3000 on the high end. This price doesn’t include removing old materials, testing for hazardous materials, and possible inspection fees based on where you live. Above all of that, the time and effort to replace your bathtub is far greater than other options. Compared to refinishing your bathtub, tub liners are typically the same price or even more, so it’s not necessarily the most inexpensive avenue to take. Tub liners only cover up your bathtub problems, not solve them. Why pay the same amount or more for a product that masks the real problem? Refinishing a bathtub should be done by a professional. Duplicating the same level of quality that a professional bathtub refinisher would produce is next to impossible along with achieving a smooth finish. DIY refinishing tends to chip soon after the project is complete because the quality of the products and equipment tends to be subpar compared to a professional. The best option for your old bathtub is bathtub refinishing by an expert. A bathtub refinishing professional has the equipment and products to do the job correctly and produce long lasting results. Having a pro refinish your tub is also very cost effective and inexpensive compared to replacing your tub and about the same as a tub liner and even a DIY project. 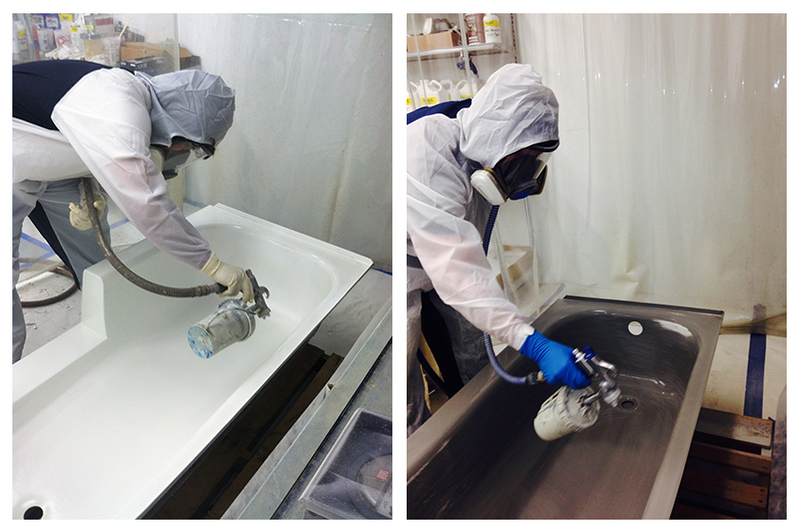 Topkote is one of the leaders in bathtub refinishing and bathtub refinishing training. Their premium products and equipment are used by professionals around the country to produce high quality and long lasting bathtub finishes. Find a Topkote refinishing pro today and restore your bathtub to it’s original beauty. Interested in starting your own refinishing company? Topkote offers top of the line bathtub, tile, and countertop refinishing training with hours of hands on training from experts in the field. Find out more about Topkote’s refinishing training program now.